Recently, on the 13th September 2017, the Type 1 Diabetic community had a massive win. The Freestyle Libre, which is a sensor on the arm that is scanned to get an overview of the users blood sugar, is now being funded by the NHS (National Health Service, our healthcare provider in the UK) as of 1st November! This is massive news, because up until now the freestyle libre had to be funded privately, meaning only those who had the means of paying £100 per month at least could access this technology. Now that it is being funded, this amazing piece of technology can be more inclusive, giving everyone a fair chance at accessing good diabetes care. Me wearing my CGM proudly on my arm! The freestyle libre, a flash glucose monitoring system, is the size of a 2p coin, normally attached to the back of the arm, and the purpose of it is to reduce the amount of blood tests that a Type 1 Diabetic has to do throughout the day. It differs from a CGM (continuous monitoring system) as a CGM links to another device all the time, and alarms if your blood sugar isn't on track. 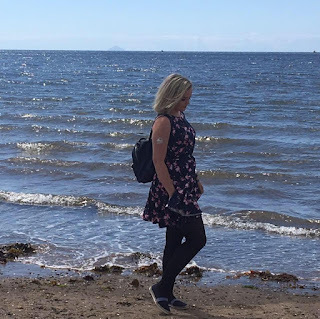 As amazing as the Freestyle Libre is, some people need the comfort that they will get an alarm if their blood sugar is dropping, for example, because they don't recognise when they are low, or are prone to severe hypos. I myself use a Medtronic CGM, normally on my arm, and that links to my insulin pump. My insulin pump then alarms me if I am approaching being low, to prevent me from actually having low blood sugar. It also suspends my supply of insulin if it then senses that I'm actually having a low blood sugar. If you follow my blog, you'll know that I often have seizures that are related to low blood sugar, and so wearing this CGM is such a comfort to me, as I don't have to worry as much about having low blood sugar. If it does happen, I have a back up of knowing that I won't be receiving insulin via my insulin pump, and that will eventually bring my blood sugar back up. As I am wearing this, I feel so much more independant. I now feel like I can do simple things by myself, things like taking the bus, or doing exercise, without being afraid that something will happen. This is a comfort that the freestyle libre wouldn't give me. In order for the NHS to fund my CGM, I had to put a business case in for it, proving that I really needed it. I had to do this as it is such an expensive peice of technology to fund, and not many people use it because of this. I have used it for over 3 years, and at this point I can't imagine my life without it. 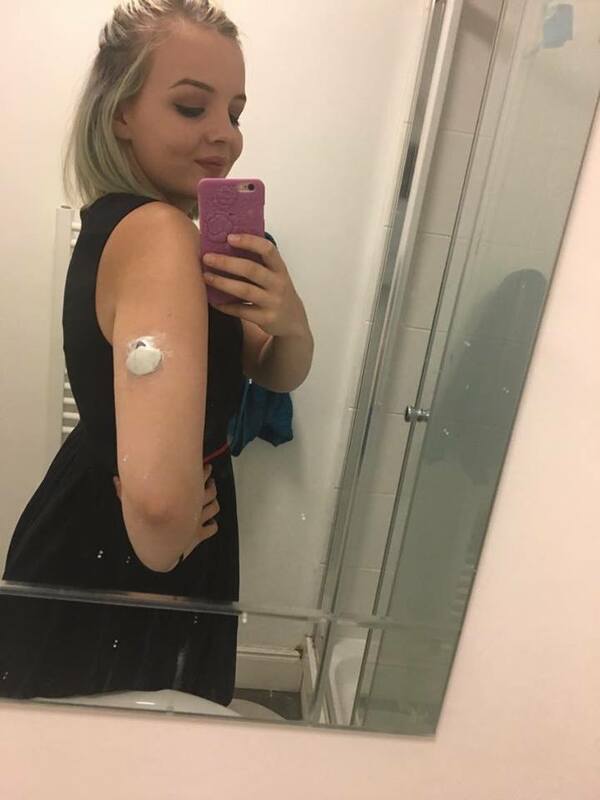 This news is amazing, and it could help so many people, however I am worried that as the Freestyle Libre is cheaper for the NHS than CGM's are, those in need of CGM's because they don't recognize when their blood sugar is low or who have frequent severe hypos like myself will miss out. We don't know yet what the criteria for gaining access to the Freestyle Libre, so for now my concerns are speculation. I honestly hope that this news is all positive, the people who need this technology will have access to it whilst the people who need access to the CGM will also have access to it. Only time will tell.